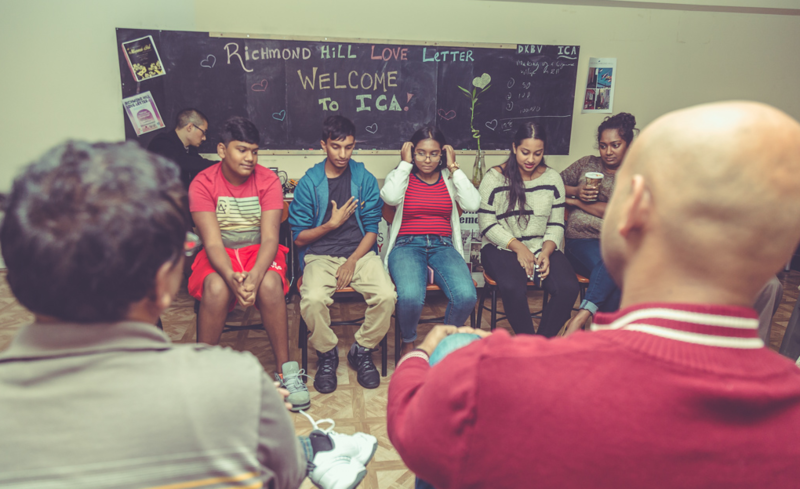 Richmond Hill Love Letter is a storytelling, art, and oral history program aiming to strengthen community by highlighting all there is to love about Richmond Hill, Queens! In 2016 we presented free workshops and community events from April-November 2016, and a culminating celebration on December 11, 2016. 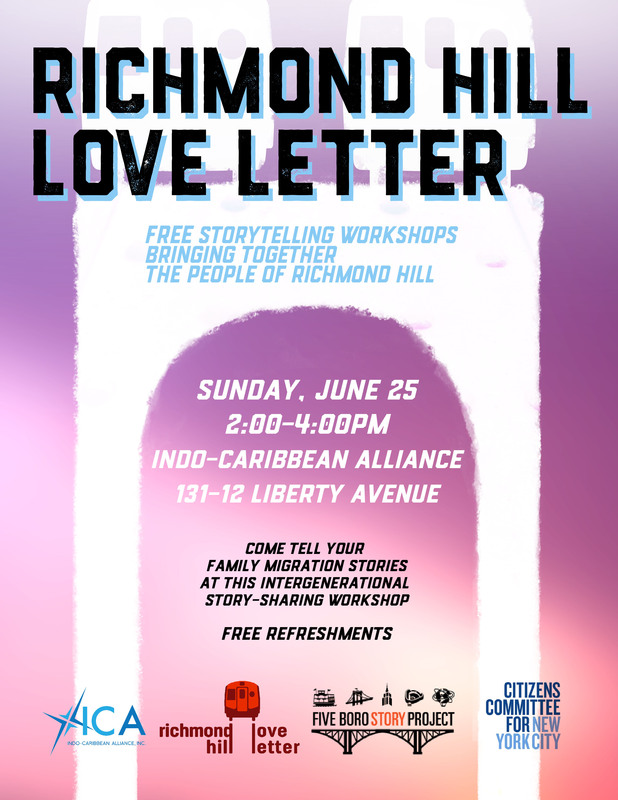 We are excited to present our first Richmond Hill Love Letter story circle workshop at the Lefferts Library in South Richmond Hill. Join neighbors in sharing stories and memories about Richmond Hill, and engage in discussion about our neighborhood’s past, present, and future. Bring your memories and ideas, and expect to learn something new about our community. It will be an intimate and fun way to connect with neighbors through shared stories and snacks from Sandy’s Roti Shop, a local favorite in the heart of Little Guyana. You are also invited to bring any Queens photographs and memorabilia, and the Queens Memory will be on hand to digitize them for inclusion in the Archives at Queens Library’s collections, and save them to a thumb drive that you can take home. The Lefferts Library is steps from Lefferts Blvd station on the A train, and Lefferts Blvd/ Liberty Ave on the Q10, Q112, and QM18 buses. 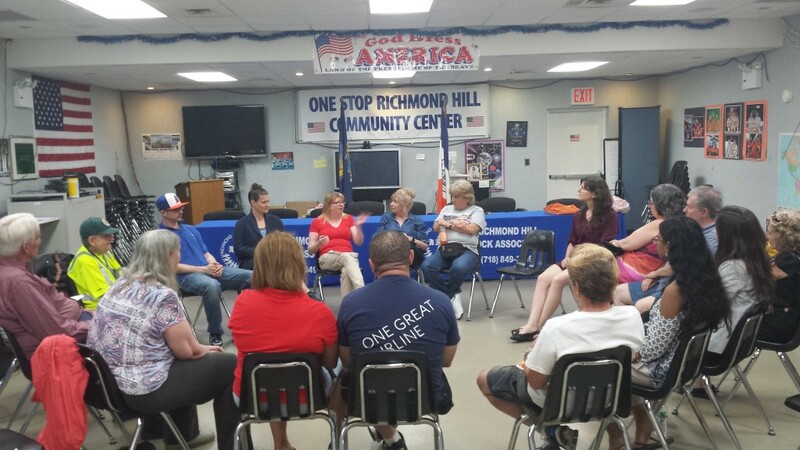 View photos from the first Richmond Hill Love Letter Story Circle HERE. Join neighbors in sharing stories and memories about Richmond Hill, and engage in discussion about our neighborhood’s past, present, and future. 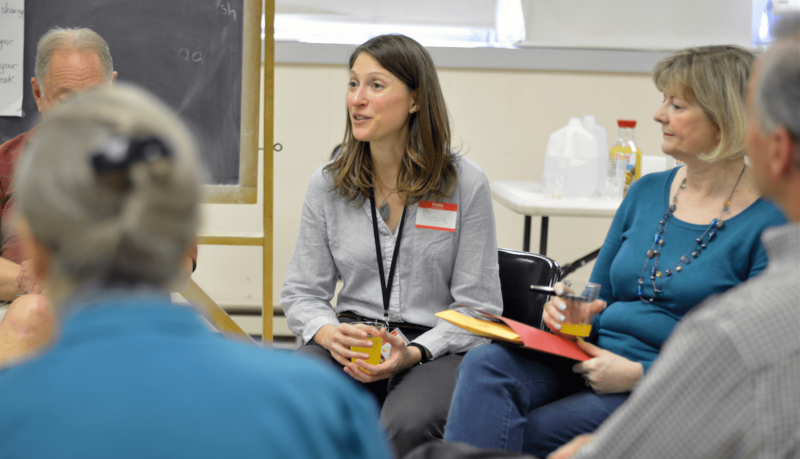 This story circle workshop will be an intimate and fun way to connect with neighbors through shared stories and snacks from Alfie’s Pizza (a beloved family-owned pizza place near the Richmond Hill Library). Bring your memories and ideas, and expect to learn something new about our community. You are also invited to bring any Queens photographs and memorabilia, and the Queens Memory team will be on hand to digitize them for inclusion in the Archives at Queens Library’s collections, and save them to a thumb drive that you can take home. The Richmond Hill Library is located at 118-14 Hillside Avenue, close to the J and Z trains to 121st St, and the Q10, Q55, and Q56 buses at Lefferts Blvd and Jamaica Ave.
View photos from the second Richmond Hill Love Letter Story Circle HERE. 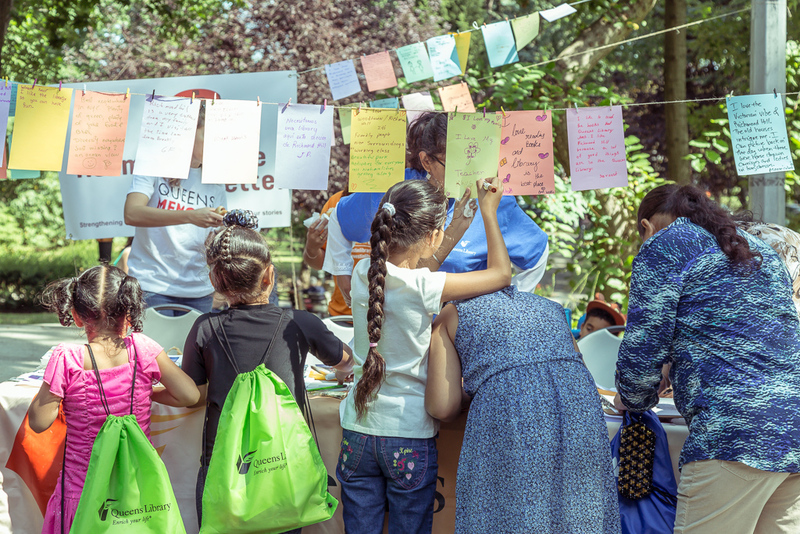 The “Richmond Hill Cultural Pizza: Family Fun Day” Cultural & Health Fair celebrates the culturally rich enclave of Richmond Hill, where you find foods, arts, languages, and cultures from all parts of the world. 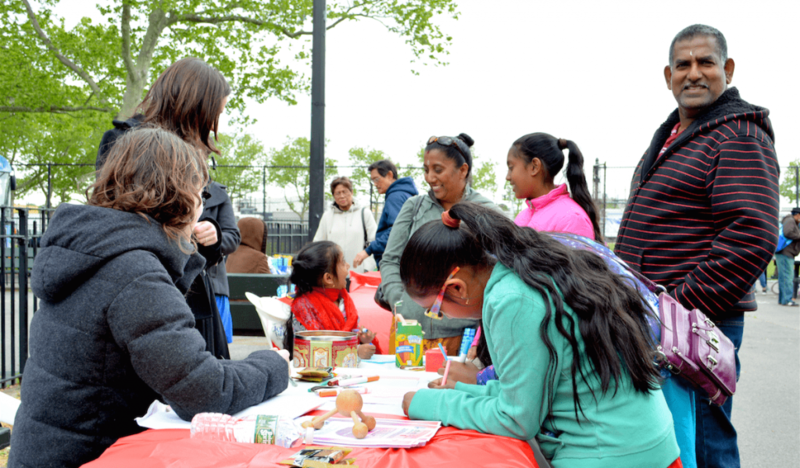 In collaboration with the Nursing Office, PAGASA Social Foundation, and the Office of Assemblyman David I. Weprin, the Five Boro Story Project will run a Richmond Hill love note-writing station. Stop by, swap neighborhood stories, and write your own love note to Richmond Hill! View photos from the Richmond Hill Love Letter activity at Richmond Hill Cultural Pizza HERE. Join neighbors in sharing stories and memories about Richmond Hill, and engage in discussion about our neighborhood’s past, present, and future. 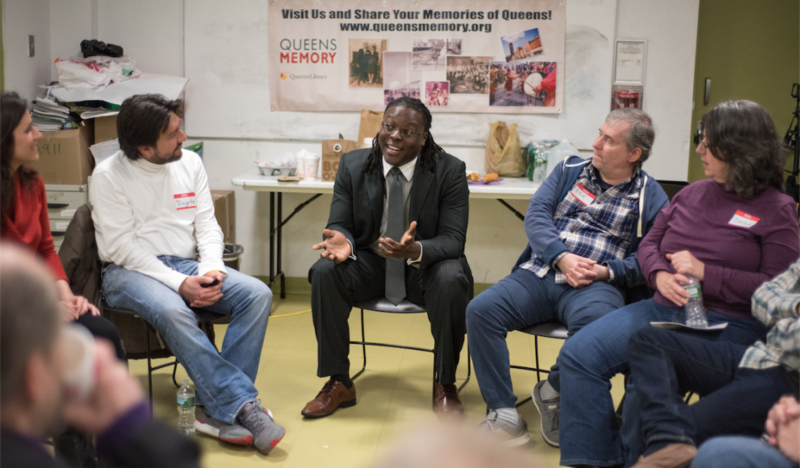 This story circle workshop will be an intimate and fun way to connect with neighbors through shared stories and snacks from local Jamaica Avenue restaurant El Gran Canario II. Bring your Queens photographs and memorabilia, and the Queens Memory team will be on hand to digitize them for inclusion in the Archives at Queens Library’s collections, and save them to a thumb drive that you can take home. Richmond Hill Block Association is located at 110-08 Jamaica Avenue between 110th and 111th Streets, and is steps from the J train at 111th St, and the Q37 bus at Jamaica Ave/111th St.
View photos from the third Richmond Hill Love Letter Story Circle HERE. Stop by the library, swap neighborhood stories with the Richmond Hill Love Letter team, and join a discussion about our neighborhood. Write your own love note to Richmond Hill for display outside the library. Queens Memory will set up an archiving station, so bring any Queens photos and memorabilia you’d like to contribute to the Queens Memory archives, and get a free flash drive with digitized versions of your photos! The Lefferts Library is located at 103-34 Lefferts Boulevard between Liberty Avenue and 103rd Avenue. It is steps from the A train at Lefferts Blvd, and the Q8, Q10, and Q112 buses. The Richmond Hill Library is located at 118-14 Hillside Avenue between Lefferts Blvd and 118th Street. It is steps from the J, Z train at 121st Street, and the Q10, Q55, and Q56 buses. View photos from the Richmond Hill Love Note workshops HERE. Stop by beautiful Forest Park for a special edition of “Richmond Hill Love Letter” at Richmond Hill Block Association‘s Annual Park Fair! 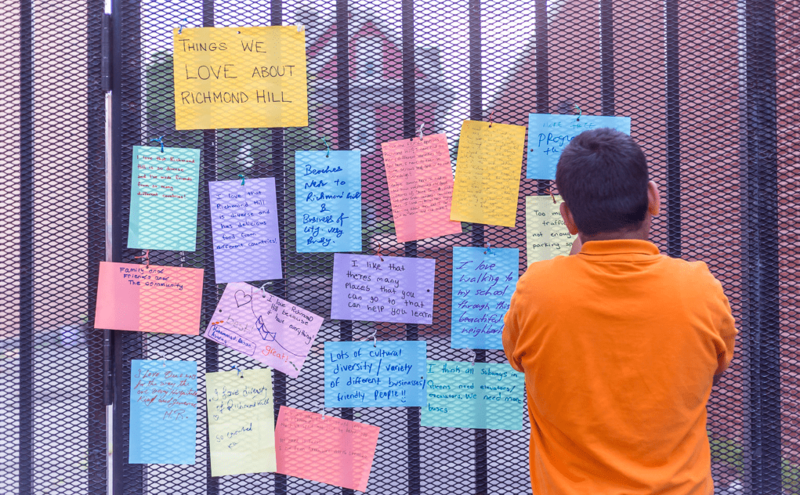 Swap neighborhood stories, join discussions about our neighborhood, and write your own love note to Richmond Hill. Love notes will be displayed in the park, and you can read the stories of others and get to know our community better. The Queens Memory team will have local history materials, including historical photos, maps, and oral history listening stations. The Park Fair will also include rides, carnival food, musical performances, presentations by local dance & martial arts groups, games and arts and crafts vendors. The Forest Park Buddy Monument / Richmond Hill War Memorial is located at the Myrtle Avenue entrance to Forest Park’s main thoroughfare, at the intersection of Park Lane South and Myrtle Ave. It is steps from the Q37 and Q55 buses. View photos from the Richmond Hill Park Fair workshop HERE. Join neighbors in sharing stories and memories about Richmond Hill, and engage in discussion about our neighborhood’s past, present, and future. Bring your stories of growing up in Greater Richmond Hill (South Ozone Park, Ozone Park, Jamaica). We’ll talk about, share, and document the continuing transformation of our neighborhood. 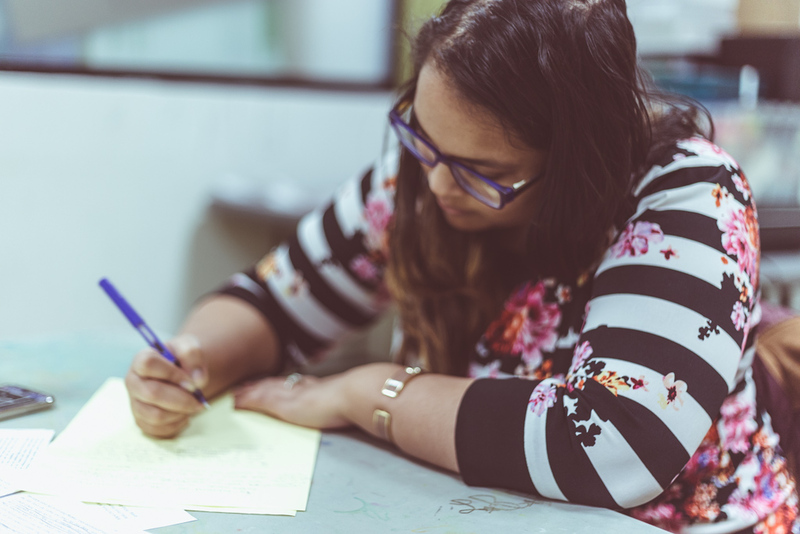 This workshop with the Indo-Caribbean Alliance will be an intimate and fun way to connect with neighbors through shared stories and snacks from Singh’s Roti Shop, a local favorite in the heart of Little Guyana. You are also invited to bring any Queens photographs and memorabilia, and Queens Memory will be on hand to digitize them for inclusion in the Archives at Queens Library’s collections, and save them to a thumb drive that you can take home. Participants will also have the chance to view archival treasures from the Queens Library Archive. View photos from the fourth Richmond Hill Love Letter story circle HERE. What are the special characteristics that make your neighborhood what it is? Join our writing workshop and write about the “divine details” of Richmond Hill and other neighborhoods that you’ve called home. This workshop is facilitated by Nadia Misir, a writer, Richmond Hill native, and former fellow with the Asian American Writer’s Workshop. Your writing could be featured in the Richmond Hill Love Letter culminating event on December 11th! You are also invited to bring any Queens photographs (anything from old or recent family photos, to pics on your cell phone) and Queens Memory will be on hand to digitize them for inclusion in the Archives at Queens Library’s collections, and save them to a thumb drive that you can take home. Free workshop with refreshments provided. This workshop is open to all who would like to write place-based memoirs – not just Richmond Hill! View photos from the writing workshop HERE. Come tell your family migration stories at this intergenerational story-sharing workshop. We’ll share snacks and stories about our immigration experiences, what it’s like being the child or grandchild of immigrants, and discuss how we blend our family’s background with our own identities.